Blame on my careless habit, I forgot to bring my camera to attend AKIYO Event. The pictures below are from Kah Mon and Jean. Do check out on them too. You will be seeing lots of cute accessories here so keep calm and read the story. AKIYO is a local brand that provides jewelry inspired by a combination of Japanese and European styles. AKIYO has set an elegant collection to appeal to a younger crowd, making pearls and gemstones trendy again with their creativity designs. 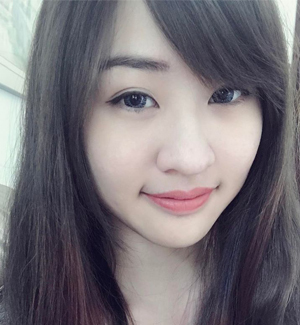 This is Mandy, she is the founder of AKIYO. AKIYO has a motto: Your Life is Your Story, Mandy believes the accessories can bring a unique and meaning jewelry that celebrating every special moment of one's life. Each leaf of the Clover symbol on AKIYO represents a meaning of Life: Faith, Hope, Love and Luck. Here are some of the best sellers of AKIYO. The pearl bracelets are the best sellers with its reasonable price and unique designs. Some of these jewelry has Swarovski elements in it, so here's the alternatives for you. Pearls has been my favourite but it is quite hard to pull it off because of it's design. I used to have a pearl bracelet and I look utterly old with it. AKIYO revamp the beauty of pearls and make it appealing to younger look. In AKIYO, there are three colors of pearl, the champagne, the white and the pink pearls. Every pearl is unique in addition to lovely charms in AKIYO, which costs around rm75 - RM189.The pearls are 100% genuinely Fresh Water Pearls that comes in the sizes of S, M, L. The bracelets are stretchable and will fit perfectly on one's wrist. Saw this simple and sleek design of pearl bracelet on AKIYO Facebook and I'm in love! As the caption says it all, simple and sleek is the best beauty of all. If you are not a pearl lover, perhaps you might find gemstones as interesting pieces in jewelry. These gemstones can be in cut and polished condition, with many colors available for you to pick up your favourite gem. I find myself loving this black onyx bracelet. Somehow the Eiffel Tower and Camera charms tell me the story of a journey in Paris. Cool, isn't it? Perfect to suit for any outfit. Leather bracelet is easy to layer with other bracelets, easy to match from day to night occasions. Ok la, I have a thing on leather bracelets. Leather bracelet always look stylish and boyish. Here are some the colorful and cute charms from AKIYO. I'm not a charm lover but I am amazed with these designs. You can change to your favourite charms at any occasion. You can use it on your necklace or bracelet. Spot the bunny! Santa please grant my wish? I've been a good girl this year. I find this is pretty interesting because ceramic beads are quite hard to mix and match with daily outfit. Nevertheless, common jewelry with ceramic beads are colorful without any charms on it. 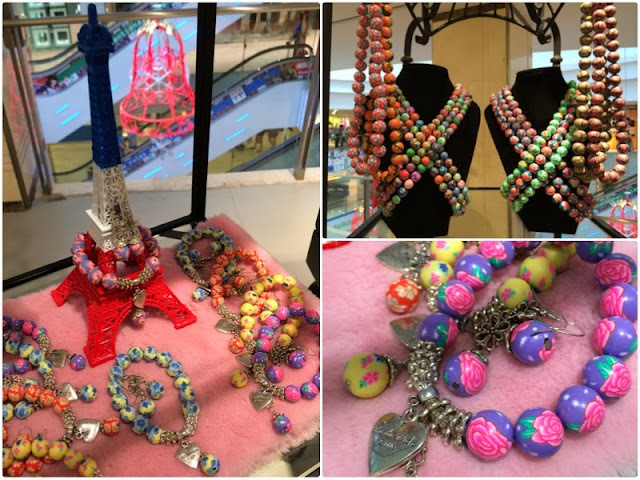 With AKIYO charms, these ceramic beads jewelry become unique and trendy for day and night outfit. If you are the person who loves vintage or ethnic fashion, AKIYO has the right thing for you. You can add on charms to the ethnic bracelet too. There are a lot of colors available for you to mix and match for the perfect combination. AKIYO has elegant necklace too. You can choose to only buy pendants from them if you do not want the necklace. You can choose to have Pure Sterling Silver, Stainless Steel or even White Gold as your preference. And~ their charms are pretty and cute too, just like the bunny pendant in the picture shown. These are the anklets. It's hard to get a nice and simple anklet these days. AKIYO has rather a girlish and yet simple design, which suits my cup of tea. Need not to worry about the length because the staff will help you to adjust the length accordingly. The Butterflies were asked to pick one of the charms sponsored by AKIYO. Most of them picked the Eiffel Tower and Pink Ribbon so I'm going after the special one, Snowflake design. Each and every jewelry you buy will be placed nicely in a small box. The jewelry will be well protected by a black pouch, so do not worry your jewelry will get dirty. Here is my piece of precious bracelet, with Snowflake charms and a purple flower charm. Different colors of jewels on the Snowflake are sparkling, together with the purple flower charm shines like a star under the lights. This is my story, I'm nobody but I am somebody among my friends and family. I don't shine like a superstar but I'm making my family proud of my doing. As much as I realized, I found out I have more than I expected. So this bracelet reminds me of who I am today, and look forward to see my future. So, what's your AKIYO story? As usual, ending le post with beautiful ladies, Angeline at my left, Carolyn at my right.